Joseph Robert Kerrey (born August 27, 1943) is an American politician and lobbyist who served as the 35th Governor of Nebraska from 1983 to 1987 and as a United States Senator from Nebraska from 1989 to 2001. Before entering politics, he served in the Vietnam War as a United States Navy SEAL officer and was awarded the Medal of Honor for heroism in combat. During the action for which he was awarded the Medal of Honor, he was severely wounded, precluding further naval service. Kerrey was a candidate for the Democratic presidential nomination in 1992. He retired from the Senate in 2000 and was replaced by former Governor and fellow Democrat Ben Nelson. From 2001 to 2010, he served as president of The New School, a university in New York City. In May 2010, he was selected to become the head of the Motion Picture Association of America,  but he and the MPAA could not reach an agreement,  so former Connecticut Senator Chris Dodd was chosen instead. In 2012, Kerrey sought election to his old Senate seat to succeed retiring Democratic incumbent Ben Nelson. He lost to Republican nominee Deb Fischer. Kerrey is a co-chair for the Advisory Board of Issue One, an organization that describes its mission as "fighting for real solutions to the problem of money in politics". In 1987, Kerrey was elected to the Common Cause National Governing Board. Kerrey was born in Lincoln, Nebraska, the son of Elinor Fern (née Gonder), a University of Nebraska instructor, and James Henry Kerrey, a builder and businessman. He attended public schools, graduating from Lincoln Northeast High School. He went on to earn a degree in pharmacy from the University of Nebraska-Lincoln in 1966. Kerrey pledged Phi Gamma Delta fraternity, and during his senior year he was tackled into the Society of Innocents, the chancellor's senior honorary society of spirit boosters. Kerrey served in the United States Navy as a SEAL officer during the Vietnam War. He completed Officer Candidate School in Newport, R.I in 1967. He then received assignment to Naval Amphibious Base Coronado and subsequently completed Basic Underwater Demolition/Sea, Air, Land (BUD/S) training with class 42 in 1968. He volunteered for and received assignment to SEAL Team ONE, a separate organization from the Underwater Demolition Teams that personnel were normally assigned. After pre-deployment training, Kerrey deployed to the Republic of Vietnam as assistant platoon commander with Delta Platoon, SEAL Team ONE in January 1969. He was seriously wounded and lost the lower part of his right leg in combat on Hon Tre island near Nha Trang Bay on March 14, 1969. While suffering shrapnel wounds and blood loss, Kerrey organized his squad in a counterattack that killed or captured enemy Viet Cong. He was later medically discharged from the US Navy for his combat wounds. On May 14, 1970, President Richard Nixon awarded Kerrey the Medal of Honor at the White House for his heroic actions in 1969. The U.S. Navy's variant of the Medal of Honor. For conspicuous gallantry and intrepidity at the risk of his life above and beyond the call of duty on 14 March 1969 while serving as a SEAL Team Leader during action against enemy aggressor (Viet Cong) forces in the Republic of Vietnam. Acting in response to reliable intelligence, Lieutenant (jg) Kerrey led his SEAL Team on a mission to capture important members of the enemy's area political cadre known to be located on an island in the bay of Nha Trang. In order to surprise the enemy, he and his team scaled a 350-foot sheer cliff to place themselves above the ledge on which the enemy was located. Splitting his team in two elements and coordinating both, Lieutenant (jg) Kerrey led his men in the treacherous downward descent to the enemy's camp. Just as they neared the end of their descent, intense enemy fire was directed at them, and Lieutenant (jg) Kerrey received massive injuries from a grenade which exploded at his feet and threw him backward onto the jagged rocks. Although bleeding profusely and suffering great pain, he displayed outstanding courage and presence of mind in immediately directing his element's fire into the heart of the enemy camp. Utilizing his radioman, Lieutenant (jg) Kerrey called in the second element's fire support which caught the confused Viet Cong in a devastating cross fire. After successfully suppressing the enemy's fire, and although immobilized by his multiple wounds, he continued to maintain calm, superlative control as he ordered his team to secure and defend an extraction site. Lieutenant (jg) Kerrey resolutely directed his men, despite his near-unconscious state, until he was eventually evacuated by helicopter. The havoc brought to the enemy by this very successful mission cannot be overestimated. The enemy who were captured provided critical intelligence to the allied effort. Lieutenant (jg) Kerrey's courageous and inspiring leadership, valiant fighting spirit, and tenacious devotion to duty in the face of almost overwhelming opposition, sustain and enhance the finest traditions of the United States Naval Service. In 2001, The New York Times Magazine and 60 Minutes II carried reports on an incident that occurred during Kerrey's Vietnam War service. On February 25, 1969, he led a Swift Boat raid on the isolated peasant village of Thanh Phong, Vietnam, targeting a Viet Cong leader whom intelligence suggested would be present. The village was considered part of a free-fire zone by the U.S. military. From 8PM to 9PM February 25th, 1969, a group of Seal Rangers [ sic] (one of the most selective rangers of U.S. Army) led by Lieutenant Bob Kerry [ sic] reached for Hamlet 5, Thanh Phong Village, Thanh Phu District, Ben Tre Province. They cut 66 year-old Bui Van Vat and 62 year-old Luu Thi Canh's necks and pulled their three grandchildren out from their hiding place in a drain and killed two, disembowelled one. Then, these rangers moved to dug-outs of other families, shot dead 15 civilians (including three pregnant women), disembowelled a girl. The only survivor was a 12-year-old girl named Bui Thi Luom who suffered a foot injury. It was not until April 2001 that U.S. Senator Bob Kerrey confessed his crime to the international public. In 1982, Kerrey ran for Governor of Nebraska and defeated incumbent Republican Charles Thone. He served as governor from 1983 to 1987. In 1986, he served as the Chairman of the Midwestern Governors Association. 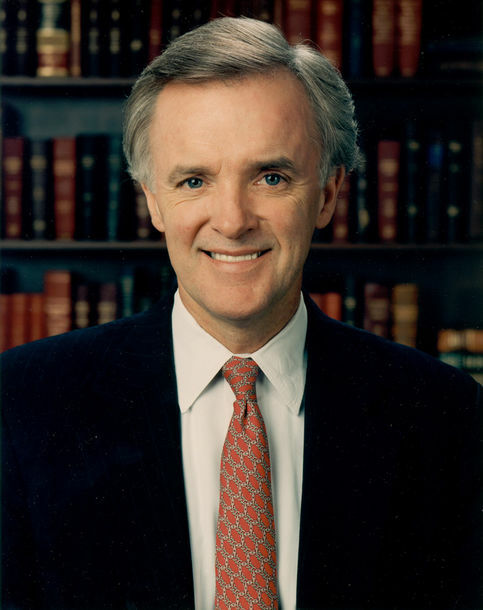 Senator Kerrey was a member of the Agriculture Committee and the Finance Committee, and was a member of the Appropriations Committee from 1989 to 1996. He also served as vice chairman of the Intelligence Committee from 1995 to 1999. He was the chairman of the Democratic Senatorial Campaign Committee for the 104th Congress before retiring in 2000. After his retirement from the Senate, Kerrey served on the National Commission on Terrorist Attacks Upon the United States, commonly known as the 9/11 Commission. The commission was created by Congressional legislation to investigate the circumstances of the attacks on September 11, 2001, and to provide recommendations of actions that could help prevent future similar attacks. It was a bipartisan commission of five Democrats and five Republicans. The commission issued its final report, the 9/11 Commission Report on July 22, 2004. In September 1991, Kerrey announced his candidacy for the 1992 Democratic nomination for president. In a small field of five second-tier candidates devoid of an early frontrunner, Kerrey was seen as the early favorite. However, his performance on the campaign trail sometimes seemed lackluster, especially in comparison to that of Arkansas governor Bill Clinton. Kerrey finished third in the New Hampshire primary in February 1992, despite spending heavily on television advertising. He briefly rebounded after winning the South Dakota primary but soon dropped out of the race after finishing fourth in the Colorado primary. Kerrey was on Clinton's "short list" of vice presidential candidates, but Tennessee Senator Al Gore received the nod instead. Kerrey presided over an ambitious program of academic development at the university. Under his leadership, the university launched numerous new academic programs, including several joint degree programs. Enrollment increased by 44% to over 10,200, and online course enrollment doubled. He also oversaw an increase in the size of the faculty. The number of full-time faculty members grew from 156 in 2001 to more than 372 in 2009. He also helped to establish the Faculty Senate, which allowed the school to set university-wide standards for promotion, hiring, and faculty evaluation. Additionally, tenure was instituted for all academic departments. On April 14, 2005, Kerrey announced that the university was changing its name from "New School University" to "The New School", and rebranding its eight divisions as specialized, separate entities serving different constituencies. Early in the morning of April 10, 2009, 19 students took over the 65 5th Avenue building, erecting an anarchist flag and demanding once again that Kerrey resign. A few hours later, about 20 police officers entered the building, arresting 22 students and ending the occupation after five hours. Kerrey's time as President concluded on January 1, 2011. He was succeeded by David E. Van Zandt. Kerrey was then appointed President Emeritus. On December 27, 2011, Political Wire reported that Ben Nelson, who had succeeded Kerrey in the Senate, would not seek re-election, and asserted that Kerrey was in talks with senior Democrats about the possibility of replacing him. The Washington Post reported that Kerrey would neither confirm nor deny the rumor. American Crossroads had been running advertisements critical of Kerrey's potential Nebraska Senate run, focusing on the fact that Kerrey had been living in New York for the last ten years. Kerrey responded to the ads with an invitation for Karl Rove to eat at one of Kerrey's restaurants in Nebraska, or to work out at one of his gyms that he owns in that state. On February 27, 2012, The Washington Post reported that Kerrey had earlier decided against a run, but that an aide had confirmed that he was now filing to seek election to his old Senate seat. He won the May 15 Democratic primary against four minor candidates. However, he was defeated on November 6 by Republican state senator Deb Fischer. Kerrey narrowly won the state's two largest counties, Douglas and Lancaster—home to Omaha and Lincoln, respectively—but only won three other counties. His margin in Omaha and Lincoln was not nearly enough to overcome Fischer's margin in the more rural parts of the state. Kerrey is friends with fellow Vietnam veteran Jim Webb. In 2006 he became involved in convincing Webb to run for the US Senate. Webb entered the Virginia Democratic Primary, and Kerrey volunteered to serve as Webb's National Finance Chair. Webb went on to win the extremely close election in Virginia, defeating George Allen. Kerrey has also endorsed, and appeared at campaign events for, Al Franken in his bid for the U.S. Senate in Minnesota. On September 9, 2008, a pedestrian bridge connecting Omaha, Nebraska with Council Bluffs, Iowa was named in Kerrey's honor by the Omaha City Council. ^ "New School President Emeritus Web Page". Retrieved September 10, 2011. ^ Ben, Alex (2010-05-21). "Bob Kerrey in line to head MPAA". The Hollywood Reporter. Archived from the original on June 3, 2010. Retrieved 2010-07-30. ^ "Bob Kerrey out of running for top job at MPAA". Los Angeles Times. Latimesblogs.latimes.com. July 29, 2010. Retrieved 2010-07-30. ^ a b Blake, Aaron; Cillizza, Chris (February 27, 2012). "Bob Kerrey changes his mind, will run for Senate, source says". The Washington Post. Retrieved February 27, 2012. ^ Wilson, Megan R. "Former Sen. Bob Kerrey joins government affairs firm". The Hill: On The Money. 2013-04-22. Retrieved 2013-09-09. ^ Issue One website; retrieved 2014-11-05. ^ Gareffa, Peter M. (3 November 1987). "Newsmakers". Gale Research – via Google Books. ^ Kerrey, Bob; Kerrey, Robert (1 May 2003). "When I Was a Young Man: A Memoir". Harcourt, Incorporated – via Google Books. ^ Kerrey, Bob (9 June 2002). "'When I Was a Young Man'" – via www.nytimes.com. ^ "Full Citations of Living Recipients K-L". Retrieved October 5, 2010. ^ a b Gregory L. Vistica (April 25, 2001). "One Awful Night in Thanh Phong". The New York Times Magazine. Retrieved October 31, 2015. ^ Gregory L. Vistica (April 25, 2001). "One Awful Night in Thanh Phong". The New York Times Magazine. p. 6. Retrieved 2006-01-24. ^ Gregory L. Vistica (April 25, 2001). "One Awful Night in Thanh Phong". The New York Times Magazine. p. 7. Retrieved 2006-01-24. ^ Gregory L. Vistica (April 25, 2001). "One Awful Night in Thanh Phong". The New York Times Magazine. p. 1. Archived from the original on August 30, 2013. Retrieved January 24, 2006. ^ "War Remnants Museum sewer 1749". War Remnants Museum, HCMC. Wikimedia Commons. Retrieved 19 January 2013. ^ "NE US Senate- D Primary Race - May 10, 1988". Our Campaigns. Retrieved February 29, 2012. ^ "NE US Senate Race - Nov 08, 1988". Our Campaigns. Retrieved February 29, 2012. ^ "Pennsylvania Democrats Nominate Lt. Gov. Singel; Yeakel Among Those Defeated in Gubernatorial Primary". The Washington Post. May 11, 1994. Retrieved February 29, 2012. ^ "NE US Senate Race - Nov 08, 1994". Our Campaigns. Retrieved February 29, 2012. ^ "Official Results of Nebraska General Election - November 6, 2012". Nebraska Secretary of State. p. 12. Retrieved 2013-01-02. ^ Labaton, Stephen (November 5, 1999). "Congress Passes Wide-Ranging Bill Easing Bank Laws". The New York Times. Retrieved April 1, 2010. ^ Kerrey, Bob (December 10, 2014). "Partisan torture report fails America". usatoday.com. Retrieved October 31, 2015. ^ Morton, Joseph (August 19, 2012). "Kerrey: New School tenure brought needed, if controversial, change". Omaha World Herald. Archived from the original on August 21, 2012. Retrieved August 20, 2012. ^ Williams, Audrey (2008-12-10). "New School Faculty Senate Votes No Confidence in President Bob Kerrey - Graduate Students - The Chronicle of Higher Education". Chronicle.com. Retrieved 2010-07-30. ^ Moynihan, Colin (December 19, 2008). "The Columbia and New School Sit-Ins, Compared". The New York Times. Retrieved April 1, 2010. ^ "Executive Compensation at Private Colleges, 2010". Chronicle of HIgher Education. ^ Goddard, Taegan (2011-12-27). "Nelson Expected to Retire". Political Wire. Retrieved 2011-12-27. ^ Blake, Aaron (2011-12-27). "Sen. Ben Nelson won't seek reelection". Washington Post. Retrieved 2011-12-27. ^ Joseph, Cameron. Crossroads goes after Kerrey in Neb., The Hill, January 12, 2012. ^ Joseph, Cameron. Bob Kerrey returns fire on Karl Rove, The Hill, January 13, 2012. ^ Davis, Susan (February 27, 2012). "Bob Kerrey may run for Senate seat from Nebraska after all". USA Today. Retrieved February 29, 2012. ^ Senior, Jennifer (22 February 2009). "Why the New School Insurrection May Be Bob Kerrey's Greatest Battle". New York. Retrieved 21 February 2012. ^ Bruni, Frank (10 December 2012). "The God Glut". New York. Retrieved 10 December 2012. ^ "POMP AND CIRCUMSTANCE". The New Yorker. 2011-06-06. ^ Carlson, Brady (May 16, 2016). "Thousands Take Part In SNHU Commencement". New Hampshire Public Radio. Retrieved July 12, 2017. "The New School's website of president Bob Kerrey". Archived from the original on June 17, 2001. Retrieved October 5, 2010. "2002 Interview on Education". Retrieved October 5, 2010. "CNN Story on the Thanh Phong Incident". April 25, 2001. Retrieved October 5, 2010. "Saddam, Al Qaeda Did Collaborate, Documents Show". Retrieved October 5, 2010. ""The War Within Bob Kerrey", The New York Times, published April 26, 2001". The New York Times. April 26, 2001. Retrieved October 5, 2010. ""Finish the war. Liberate Iraq." by Robert Kerrey, The Wall Street Journal, September 12, 2002". Retrieved October 5, 2010. ""My Perspective on the New School Commencement", blog by Bob Kerrey, Huffington Post, posted May 23, 2006". March 28, 2008. Retrieved October 5, 2010. ""Why I'm Not Running Again for the US Senate" blog by Bob Kerrey, Huffington Post, posted October 24, 2007". March 28, 2008. Retrieved October 5, 2010. Kerrey, Robert. When I Was a Young Man: A Memoir. New York: Harcourt, Inc., 2002. Vistica, Gregory L. The Education of Lieutenant Kerrey. New York: Thomas Dunne Books, 2003.